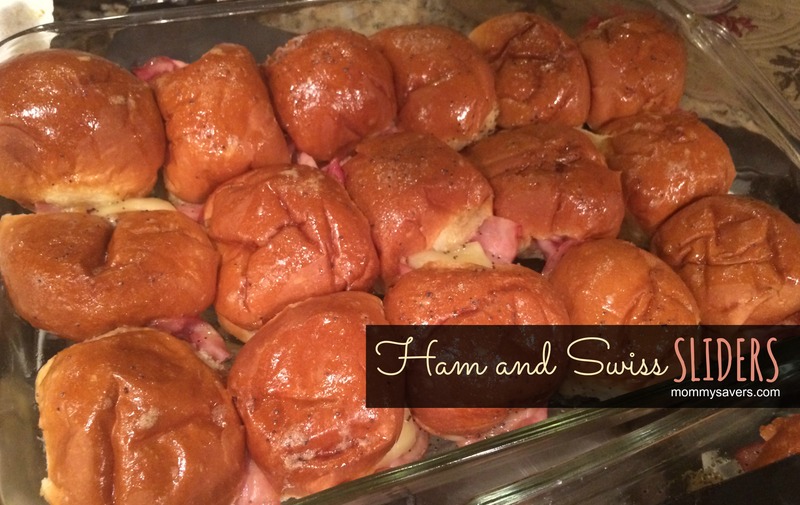 Oh my goodness… if you’ve never had these Ultimate Ham and Swiss Sliders, you are missing out! I tasted them at a party last night and my friend was gracious enough to share her version of the recipe. They’re perfect for parties since you can prepare them the night before. The brown sugar caramelizes into an ooey, gooey sauce that pairs perfectly with the Ham and Swiss. In a saucepan, bring the butter, Worcestershire sauce, poppy seeds and brown sugar to a boil over medium-high heat. Cool. Meanwhile, add sliced ham and cheese to your buns. Place in a glass Pyrex baking dish. Pour the cooled sauce over buns. Cover with aluminum foil and place in the refrigerator. Let soak a few hours or overnight. Preheat oven to 325. Bake for 20 minutes covered, then remove foil and bake an additional 5 minutes. View more of our Holiday Entertaining ideas and recipes.